MAC RiRi Woo Lipstick Giveaway!! & Its International!!! Its been a long time since I did a giveaway here on MVT, also recently we completed 6 months successfully! What better way to celebrate than a giveaway! This giveaway is purely to thank all my readers and subscribers for their continuous love and support! Plus December is a very special month as its also my birthday month! Yes! 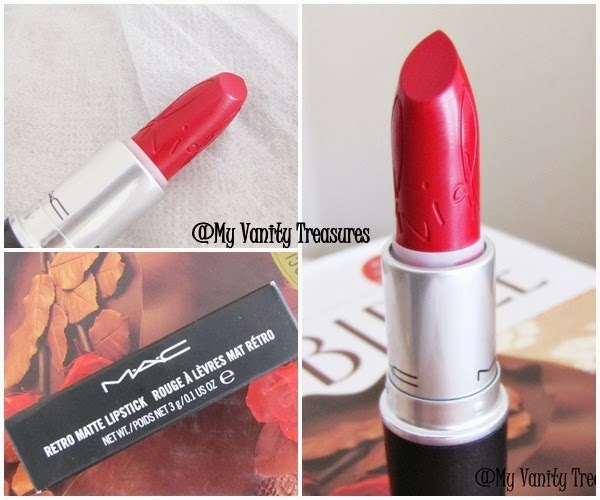 And now for the prize...as you must have guessed from the title of this giveaway one lucky reader of MVT will get a brand new MAC RiRi Woo Lipstick! And yes this time the giveaway is open internationally!! Please fill in the Rafflecopter below to enter the giveaway, also all rules are mandatory and I'll be checking each and every entry myself. Any invalid entries will be disqualified! The giveaway will run starting today ie 21st Dec 2013 till 31st Jan 2014. The winner will be announced within the 1st week of Feb 2014. The winner has to respond within 48 hours after which I'll have to pick a new winner. -> Be a subscriber and this means your subscription needs to be verified and active! -> Share this giveaway on your facebook wall/page tagging MVT and minimum of 5 other friends! Disclaimer:- The prize is not sponsored in anyway, I have bought the prize with my own money! I would love to see more reviews and tutorials of other makeup and skincare products that are the latest and also the affordable options cause this can help those girls (including me) who wants good products at an affordable price. More dupe diaries, they are interesting!!! More hauls and looks with tutorials. I would love to read more about makeup product reviews in your blog because I'm very much interested to read reviews. I would like to see more of your makeup tutorials. Hey Pari.. I am not on Instagram so cudnt follow u there. :( :( .. but u made it a madatory entryy.. I love make up tutorials and product reviews! Skincare and bb cream reviews! I'd love to see more tutorials and hauls! i like to see reviews or hauls like on natural makeup and products from the health shop like weleda etc. I would like to see more about healthy routines and hygiene please. and thank you for this giveaway :) happy new year!! Tutorials on eye makeup and skincare. I really like lipstick/lip gloss. So this giveaway is perfect for me. P.S. Sorry for the repeated delete comment. I saw there was mistakes in what I was saying so can you please delete the four above comments. I would like to see more reviews and tutorials. I would love to see skincare, especially for very dry skin (also sensitive skin particularly issues with parabens) and tutorials! Hey i am ur new follower.... I hv completed all rules excent instagram wala...I hv no id on instagram..
hope to win this Mac lippie..
A lovely Giveaway. I would like to see tutorials and reviews. Thank you for the giveaway!. Iw ould love to see more reviews/skincare related posts.. 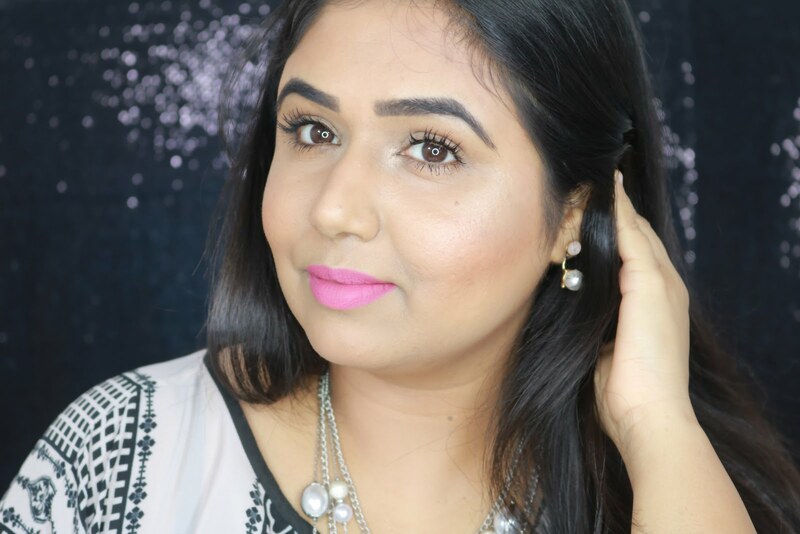 I love review on new makeup products! Oh my I love your blog and the wonderful recipes that you have tooooo good!!! More Tutorials pls!!! Especially eyes.. I love giveaways, so I would be pleased to see more of them! I would like to see reviews about makeup! I would love to see skin care tips:) like homemade masks.